Nadie is a bounty hunter who is after a young girl named Ellis. Ellis has blanks in her memory and doesn’t really remember what she did or why people are after her. Ellis has powers that she doesn’t understand but thinks they are the answer to her lost memories. Nadie goes with her as they travel south to find some answers. The appearance of their surroundings gives the feeling that they are traveling through Arizona and Mexico area on their travels. Nadie and Ellis run into various dangers including other bounty hunters and a secret society, as well as a few re-occurring friends that help them out from time to time. And don’t forget the super tasty tacos! Summary: Great show with some good story plots as well as some simply fun episodes. I really hope they someday make a season 2. 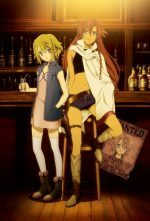 Content: Mostly clean with some exceptions: There is some violence in it; One episode (if memory serves) is a bath scene with all the girls, not exactly fan service but not clean either. 11-year-old Hunter Steel has always heard from his grandfather about the “inner world” and one day decides to go find it. Following the hints that his grandfather had left him Hunter travels to an old cave and has a bracelet attach itself to his arm. Hunter immediately falls into a hole and finds himself in a place called Arachna, where warriors ride on giant spiders to defend themselves. Through a series of adventures Hunter and his friends battle to save Arachna from the invaders who are trying to take it over. Now, this is completely a kids program but is very entertaining for myself to watch as well. Summary: A great kids show that still has entertainment value for adults. In the land of Fiore, magic is everywhere. Sorcerers are like skilled tradesmen who band together in “guilds” and take on paying assignments for non-magic wielders, like hunting monsters, retrieving lost items or running odd errands. 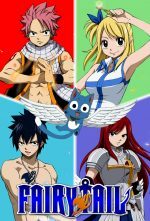 Natsu, Gray, Erza and Lucy are a group of wizards in the guild Fairy Tail who have banded together to take care of larger jobs as well as their friends. There is not a single storyline that the series follows but rather multiple story arcs that each last about 8-12 episodes. Between each story arc is usually one or two stand-alone episodes. 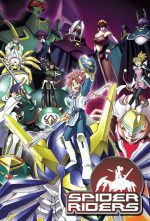 While each story arc is very interesting and has a great plot, what really puts this show over the top for me is the great music. The music is simply fantastic and really adds to the excitement of the show. The show is currently only available in Japanese with English subtitles (and is still being developed and created). This is also one of the few shows whose soundtrack album I really like. Most have 2 or 3 songs that are good and catchy. More than half the tracks of Fairy Tail’s soundtrack are catchy and in my regular playlist. Summary: A great show, with a great plot and great music to back it up. It’s hard to go wrong here! Content: 99.9% clean. I’ve watched 80 episodes so far and only one has had anything inappropriate and it wasn’t explicit.